Birchwood Hall is a community and part of a small housing co-op. People live here for ethical and practical reasons and because they want to share their lives and experiences beyond the confines of the nuclear family. It is not a self-sufficient community. The benefits of combining communal living with work and activity in the wider community are important to us. We try to share the costs of the community equitably. All members live here on an equal basis. 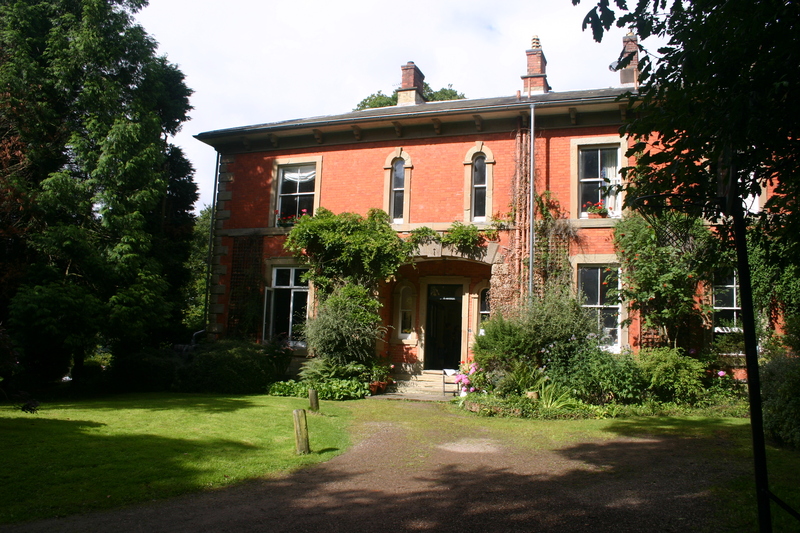 Birchwood Hall Community was founded in 1970 by a group of people interested in exploring alternative lifestyles. The community has gone through many changes since then, but for most of the time has existed as a largely stable and harmonious group. The main building at the community is a large 19th century red brick house located just north of the Malvern Hills, four miles from Great Malvern. Our nearest large towns are Worcester (8miles) and Hereford (18 miles). Birmingham is 35 miles away, Bristol 70 and London 120 miles. In addition to the “Hall”, where most members of our community currently live, there is a Coach House which is home to several more members and is currently being developed to provide further residential space. There are also a number of barns and outbuildings which both houses share. Some of these buildings have been restored and converted to create workshops; others are awaiting restoration. We have also created a small residential centre called “Anybodys Barn”, operated as a separate charity by members of the community, which provides space for residential or day retreats, courses, meetings and workshops for a variety of groups and organisations. All of these buildings are located in our eight acres of grounds, with views to east, south and west. While mostly woodland, the grounds include a large vegetable garden and greenhouse, an orchard, a small pond, a herbaceous border and a former tennis court, now used for volleyball, badminton, bonfires etc. In legal terms we are a housing co-operative, governed by regulations which are based on standard Co-operative Society Rules. Our land and buildings are owned by the co-operative (which includes all residents) and not by any of us as individuals. None of us can realise any equity or capital when we leave. If the co-op ceased to exist entirely, money from the sale of the property would be distributed to charities and/or to other intentional communities with aims similar to ours. Birchwood Hall is in a rather isolated situation, being a mile from the nearest country bus route, over a mile from the nearest post office and pub and four miles from Malvern. Almost all of us own or have access to a car or motorbike, and without private transport living here can be difficult. However, some community members have successfully used public transport, or even a bicycle, to get to and from jobs in Worcester. Our members’ ages range from 30s to 70s and a number of them have lived here for many years, which has contributed to the stability of the community. At present, we have 14 adult members, plus three young people (aged between 12 and 18) who live here much of the time. Among us, we have parents, adult children, and friends who come to visit. While we do have a pair of outdoor cats, we do not have furry animals in the dwellings due to allergies. Most community members have some form of paid employment, which may be full-time or part-time. Some of us work in nearby towns, some further afield, and a number of us do at least some work from home. We see ourselves as strongly work-orientated, but this does not necessarily imply high incomes! Our personal remunerations vary quite widely and periods on benefits have featured occasionally. Our occupations/professions at the moment include architect, teacher, potter/college art technician, sports administrator, social carer, carpenter, cyber security educator and someone who runs a small company that develops 3D and virtual reality models of historic sites and museum artefacts. Each member of the household can have their own room (although sometimes couples choose to share). Some of us also have private work space in the house. We do not live in separate “units” but live as a group, sharing communal activities and space. The evening meal is an important time for us: we eat together every day and this provides a focal point for keeping in touch. We also have a more ‘formal’ meeting time once a week, with meetings alternating between discussing practical and business issues and meetings where we explore community issues in more depth, catch up with how everyone is feeling or maybe just play games. Some of us are vegetarians and we tend to eat a vegetarian diet with occasional supplements of meat or fish. A few of us smoke, but not in communal areas of the house. On the whole, we are not dogmatic about most of these matters. Communal space includes a sitting and dining area plus a large kitchen, TV room, laundry room, workshop and a large multi-purpose room that is good for parties, music, playing games etc. We also have some large cellar rooms which could be developed for private or communal purposes. One of these rooms has already been converted into a pottery, another into a designer’s workshop. All community members take turns at cooking and shopping for the “larder”, and there is always cleaning and maintenance work to be done. We organise monthly community Maintenance Days, as our buildings require constant care and attention. At the moment, a lot of time and energy is going into the re-development of the Coach House to provide more communal residential space. Community members also do varying amounts of gardening and work on the grounds. Outside firms or workers are employed at times to take on particularly demanding or skilled maintenance work. It is not necessary to “buy in” to Birchwood Hall Community. People neither put capital into the cooperative nor take money away if they leave. Instead, everyone pays a weekly rent, partially adjusted to reflect income and circumstances. This covers all our group expenses: food and other staples, utilities and fuel, maintenance costs, capital expenditures, insurance, Council Tax etc. The only instance in which capital may be needed is if an individual wants to develop an area for a personal workspace. Any work done on an individual space is left behind if the person leaves. Included in our weekly rent is money ring-fenced for a fund we call ‘Other than Ourselves”. This currently raises over £5000 per year, which we disburse to various charities, political groups and causes. Distribution is by an annual vote. Apart from the structured ways in which we share our lives, many of us share various interests and activities. There is a lot of interest in film and music in the house, which sometimes results in combined trips to cinemas or concerts. There are also occasional trips to the nearby pub. Although generally not exactly “sporty”, many of us enjoy playing volleyball (there is an annual inter-communities tournament to which we send a team), table-tennis, badminton, cards or snooker. One of our number is a national coordinator for the sports of baseball and softball and several of us swim, ride horses or go walking or cycling. A number of us are really keen gardeners. Over the years, Birchwood residents have been involved in a variety of organisations such as single-issue campaigns, trade unions, etc. as personal endeavours. Politics is important to us as a group. Broadly, we are a left-wing and feminist group and our approach to politics and political issues is, for most of us, pragmatic. We have political ideals, but perhaps not an idealistic view of political change. We live communally because this meets many of our personal and political needs and beliefs, but we do not see communal living as a means of social salvation or as a moral imperative. Religion and spirituality are not part of our lives and are irrelevant to most of us. We are not as closely involved with the rest of the Communes Movement as we used to be, but this could change. 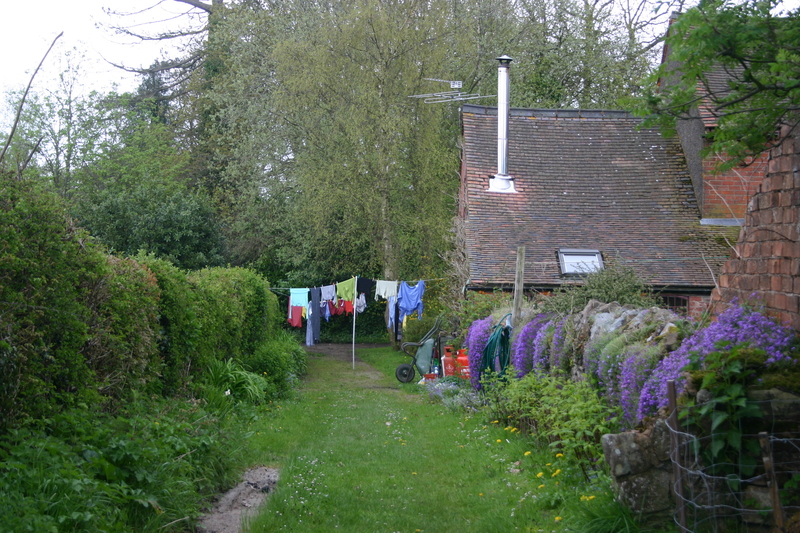 We are not, as a group, into self-sufficiency and our life is not particularly centred around rural pursuits, but there is an active sympathy for many green ideas and causes and we try to lead an ecologically responsible lifestyle. We hope this has given you enough useful information to be going on with. If you have any particular questions or would like further information, please email us to info@ birchwoodhall.org.uk , we’d love to hear from you. We are currently looking for potential new members (December 2018)!